Surveying my overstuffed pantry the other day, I realized there’s a lot of interesting stuff in there. Asian condiments, teff flour, stone-ground grits, strange sugars, maybe 10 varieties of dried chili. If there’s an earthquake, we could live for days on Chinese sesame paste and black treacle alone. In the interests of finishing the pantry clean-up, I've decided to highlight one unusual ingredient per week and find ways to use it up. 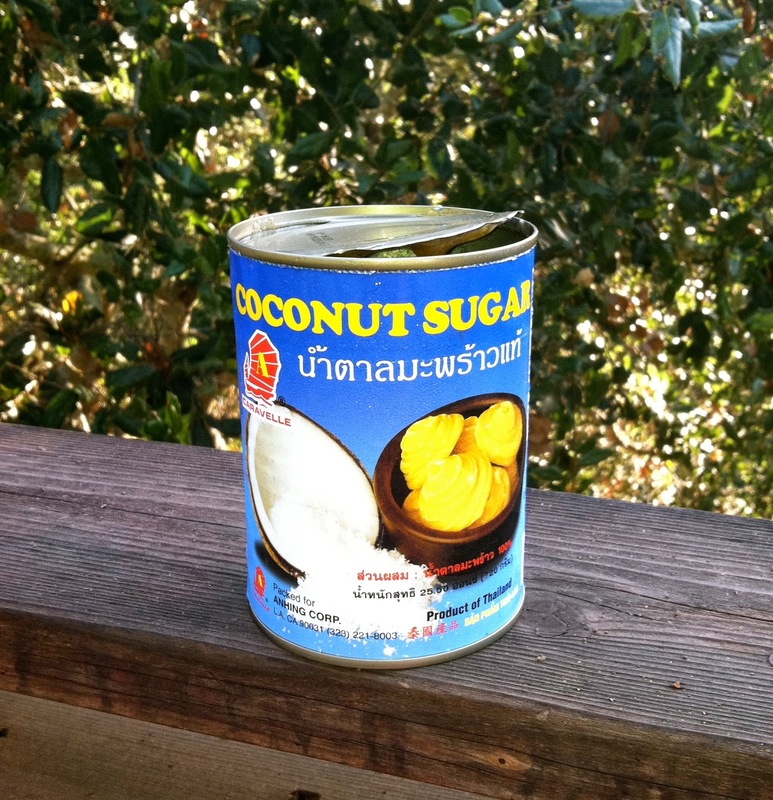 Ingredient of the Week #1: Thai coconut sugar. I have no idea why I bought this, except of course I know exactly why I bought it: coconut sugar. It sounds like the most delicious thing ever. One day when I was wandering the aisles of the Richmond New May Wah I must have put this can in my basket because it looked and sounded so magical. Brought it home. Years passed. The image on the can made me expect coconut sugar to be white, pressed from the snowy flesh of a coconut. Not so, as I discovered yesterday when I finally opened the can. 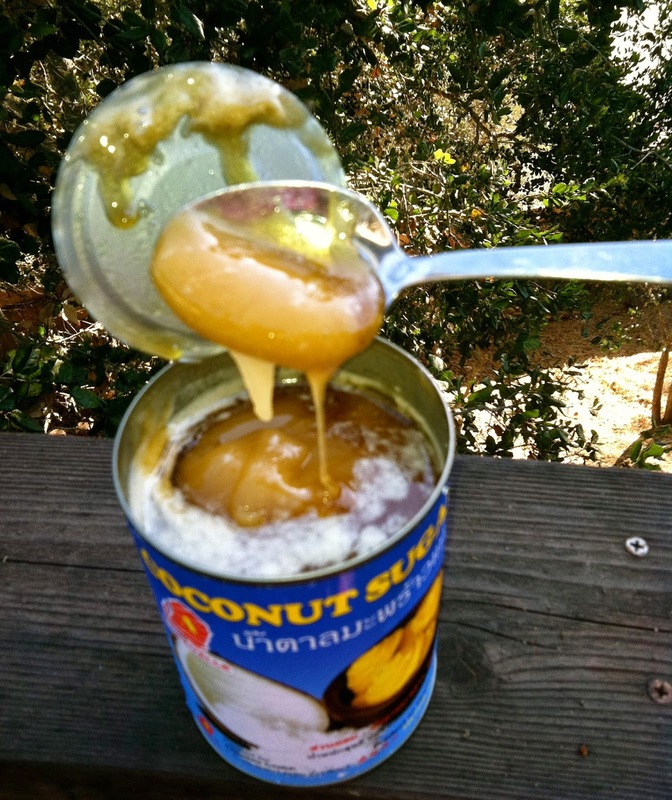 Coconut sugar is derived from the sap of the coconut palm and my can contains an alluring caramel-colored goo that separates into a translucent syrup and a thicker, sugary paste. It’s delicate, a little nutty, a little fruity, and very delicious. It would be fantastic on crepes. I went online to learn more about coconut sugar and discovered that this tropical sweetener has recently become trendy in the West, as some people believe it's healthier than cane sugar. I’d completely missed this trend, but lo and behold, Whole Foods does indeed carry bags of granulated coconut sugar that sell for five times the price of cane sugar. Is it five times healthier? Or is it the next agave nectar? Why is the packaging so hideous? I considered buying a bag to compare to my creamy Thai coconut sugar, but that’s how my pantry got so full in the first place. No new products! Especially not ugly ones. In other words, the more coconut sugar we eat, the fewer coconuts. Booming demand for coconut sugar could means more expensive coconut oil, coconut milk, and coconut water, at least in the short term. The recipes that call for Thai coconut sugar are few and far between. Today I made this vanilla ice cream, which I chose because it looked simple and I wanted the flavors of the coconut sugar to have a chance to shine. That's tonight's dessert. There will be no dinner unless I stop typing right this second. 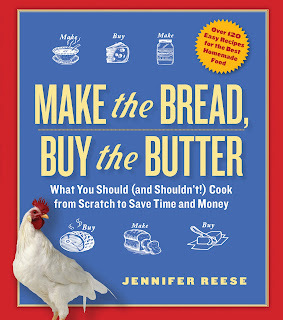 I just discovered your blog via your book (which was recommended via Frugal Girl). Loved the book and love the blog so far! Brings back memories of that stuffed pantry!! I thought I was the ultimate "food hoarder". I kept jars of lime pickles and some exotic garlic pickle until we moved, never opened one of them. 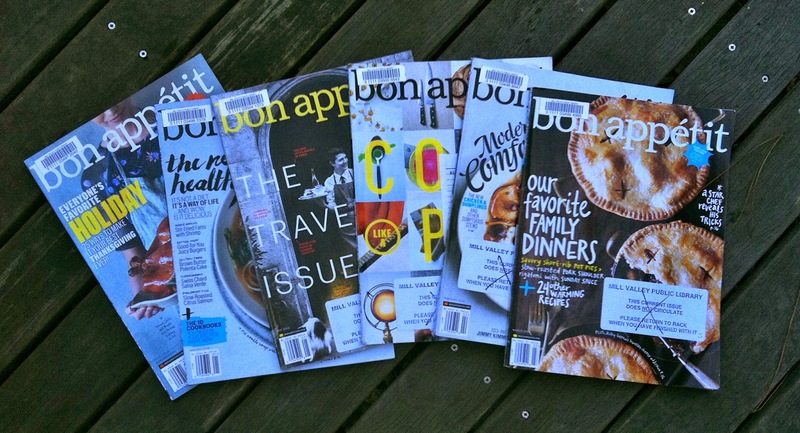 BTW I love Bon Appetit again but just found out the editor moved to Saveur (another of my fav mags). Hope you saved the chickens. Hi Pat, Yes, chickens are still with us. It's so funny that you hoarded lime pickles and exotic garlic pickles, too. Do you think it's a coincidence that we were both drawn to this house? I still haven't managed to replace the hoja santa, but I've got some amazing figs growing this year. It was pure luck and I am so happy that you and your family are enjoying that house as much as we did! Figs? Nice!! Man, I looked away for a second and you posted twice! I hope the mites are truly behind you now. When making grape sorbet/sherbet, have you ever tried using malic acid instead of citric acid? I bought some online and have been using it for tartness in non-citrus desserts and confections, like apple pie (if the apples aren't tart enough) or jelly candies. But then again, that would mean you'd have three bottles of fruit acids in your pantry. You have made me want to go clean out my pantry, not least because I've been seeing moths lately, and I can't have that. Oh what a clever pantry cleaning hook! I cannot wait to read all. And while on the subject, I'd love to know from you how you organize/ hang onto ingredients that you don't use everyday, but surely will again....mostly ethnic cuisine ingredients specific to that cuisine, I would think. Chinese, Korean, Latino, Middle Eastern, etc. I buy the stuff, use it a bit, then my pantry is exploding. Also the dish I think I'm going to make, but plans change, and soon I forget what I planned in the first place. I love the idea of marketing daily, but you cannot do that easily unless one cooks very simply. Ingredients mount up! They multiply! And who doesn't need stuff that can be pulled out with a moment's notice to flesh out a meal? I suppose the answer is discipline? This could be an entire year's worth of blogging. Love you the most! Glad to see you using your local public library! Your tax dollars at work. Granulated coconut sugar - great on pancakes with lemon juice, and the kids don't run screaming insane afterwards the way they do after too much regular sugar. GI 35 (vs 100). Your kids are older, not so much of a problem I'm guessing. I also use it in peanut butter choccy cookies. It may compromise the growth of coconuts, but coconut sugar uses something like a fifth of the nutrients and space than cane sugar so I'm not too fussed! There's always something - best not to eat, I guess. Interesting info about the coconut sugar. I recently read an article about how the new popularity of almonds as a "health food" is adversely affecting water supply in California.